Welcome home to paradise and The Cove at Loggerhead. This waterfront townhome is priced $31,000 below its only waterfront competitor. This is an idyllic gated community nestled close to Maximo Park in Pinellas Point. This stunning & immaculate townhouse boasts a large great room with a kitchen designed for entertaining your friends and family! Overlooking the canal the kitchen boasts quartz countertops, subway tile backsplash, and upgraded cabinets and appliances. The extra large master bedroom includes a sitting room and ensuite spa feeling bath and also overlooks the water. The front bedrooms have a gorgeous view of the spring-fed lake and marina. A boat slip with lift is available for rent right off your back doorstep or if you should choose there is also an indoor boat garage maintained by Suntex Marina that will also accommodate your vessel. 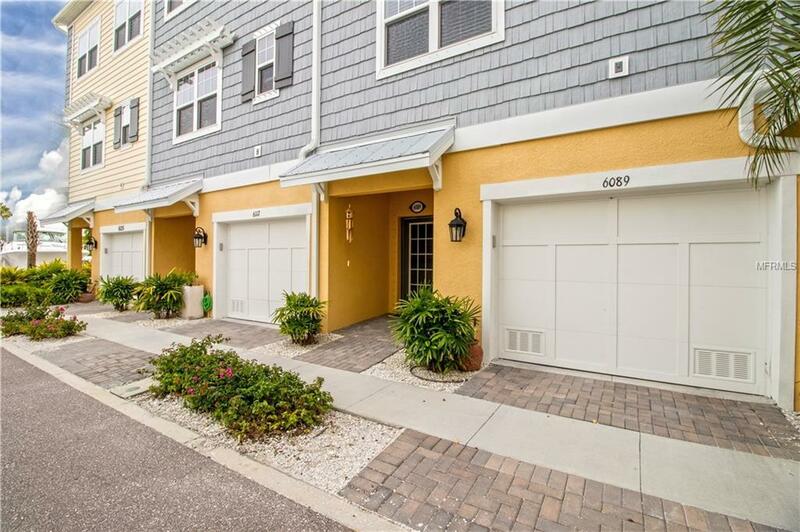 The community grounds are maintained by the homeowners association and include a huge outdoor saltwater pool at the water's edge with an entertainment area, tiki huts, tv's and a gas grills. The captain's lounge is only steps away and is shared with the boat owners of the marina. Don't wait, come and visit this beautiful home soon and experience what true Florida living is all about!